QuickDry fabric in main front and rear panels for superior moisture management. Aero Waffle texture fabric through sleeves and side panels. Double stitched pockets and hems for durability. Tineli jerseys have a slim fit. 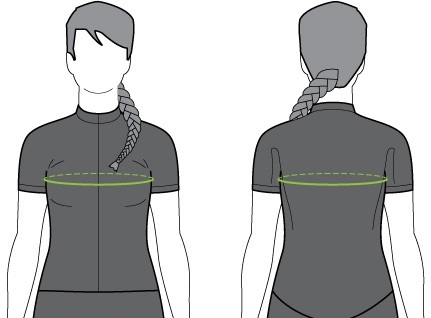 The cut is not skin tight (except the Pro Aero Jersey), but slimmer than the jackets. Our jerseys are made out of high stretch fabrics, so that they adapt to your body. Please see the guide below for the recommended size with regard to chest size.